We stayed there for the first two weeks in september with three other girls! We were recommended pythari by first choice but we heard bad reviews about the rooms and staff. When we arrived it was far better than we expected (even though we did get the newly decorated apartments) the location was perfect it was still on the strip but it was a ten minute walk! We were equipped with almost everything we needed. Our rooms were abit smaller than we expected but for girls who are hardly spending time in them it did us fine! Only thing we weren't keen on were the staff, as soon as we arrived the owner, Nikos, come running over to warn us about being watched by cameras and that we wernt alowed visitors or to come in too late at night, which we respected but for girls who are on holiday in Laganas, we don't want to be lectured about what we can and cant do, which we were reminded further by the 4 signs hung up in our apartments: a do and dont list! Another thing was the staff in Pythari restauraunt they were extremely rude and always watched us when we walked passed. Would not recommend the restaraunt but I can't complain about everything because the pool bar was great and cheap enough to eat for ya brekkie or toasties. Other than that we had a brilliant holiday and would probably go back to laganas sometime in the future! Hi Guys, i stayed in the Pythari studios for 2weeks from the 20th May to the 3rd June and i must say it was fab there was 10 of uz we had a ball. The staff are great the couple that own the bar are lovely. Niko owns the studios n hes a nice guy he also has a nice cocktail bar just out side the studios. I am on the net just now tryin to find a cheap deal to go back over for a week or 2 every1 thats goin it is a nice place and clean. But beaware of the toilet u can flush the paper ull have a bin lol. If any1 would like to see some pics of the place can contact me on msn claire-jd1@hotmail.co.uk i will also try and put some on here cheers Claire Ive added some of the bar at pool and the pool. Hi. Been to the pythari appts twice, but this was about three years. Just booked a last minute deal for the 5th June. 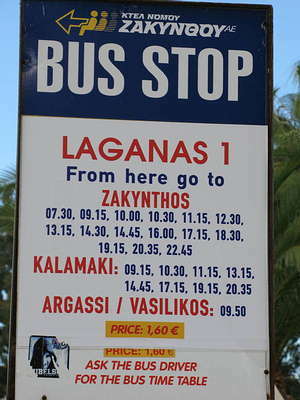 I hope that are what i remember, because me and my girlfriends enjoyed everything about the pythari and Zante. Look forward to seeing anyone there, who may read my comment. hi everyone im going to the pythari apps in laganas on 1/4/07 can any one supply me with any more info and a website if poss plz oh and any pics of the appartments iside. and about thanks. ps u can book through sunmaster.co.uk their part of first choice and a little cheaper. I holidayed in Lagana 6 years ago and spent many days lounging around at the Pythari apartmemts and eating at the restaurant. I would now like to go back and actually stay at the apartments but can not find them in any travel brochures. Can anybody let me know which tour operator they are using? the studios are very very basic and we werent happy with the cooking areas in the studios, the sztudios also smelt funny at times. The pool, bar and resturant we amazing overall a good holiday! hey everyone. me and my boyfriend are going to the studios in about 2 weeks do they have lockable cash boxes, irons and hairdryers in the rooms?? there aint no info in the travel book and they dont seem to have a website could some one please let me know thanks guys ! there is no air conditioning at the pythari . but to be honest you wont mind as the rest of your holiday will be great ! we went there on honeymoon in august 2004 and i can honestly say ive never had a better holiday . we loved it so much my wife and i go back this sunday (16th july ) viv and christos are great hosts and if you need any help just ask . hope you enjoy your stay as much as i did ! Wondering what the craic is like, can ya get to smuggler's cove from laganas and is there entertainment in the studio complex? Oh yea and are the beds single or double? there was f all information in the travel brochure!!!! I'll be back here to review the place when i get home, hopefully I'll like it. Not sure what to make of the fact that on this page the only two irish people didn't like it but hey! hey viv and christos ! we have booked for sat 16th july . we were at your place in august 04 for our honeymoon and met loads of great people . we loved it so much we are coming back this year but not just us , sam ( fan girl ) and mark are coming back also for the same 2 weeks. tell christos to get the pythari specials on the go and we will see you in 18 weeks !!! cant wait . all the best Steven and Gill robinson. Apartments were small and not cleaned regularly enough for my liking maybe 3-4 times in the whole fortnight I was there. The grounds were lovely far enough out from the hustle and bustle but not too far too walk, the pool is he best i've experienced because of its pure depth got such a shock when I jumped in the first day and didnt hit the bottom straight away its so well maintained aswell. Janine was great so friendly. The facilities in the apartment are not in good condition the pipes in our kettle were actually blue moulded - only realised after making food with the water! Overall the apartments could do with modernisation, one of the great things is that we met the loveliest people there who we still remain friends with Hi Lenny, Elaine, Brian & Joan! Niko's is a great hangout for a relaxing night but boy are those cocktails watered down! Hey Viv! It ian, from the group of 20 lads (including, maz, max, harry etc.. and me, The Gaffa!).. Had such a good time i came back and worked for the rest of the summer!! Hope you have been well, and that all's good in Pythari, as always! Sorry i ahvnt contacted you sooner, ive only just stumbled across the page. Good news for some: Im comin back out this summer. Should be there by the end of june.. so be ready to make a milkshake.. i know how much you used to love makin them at happy hour!! Cant wait to see everyone again, and i will definately come and say hello when i get off the plane. Hi there. Just home after a two week stay at Pythari in Laganas. Firstly our thoughts...... managed and run very well by Viv the owner. The pool side bar is one of the best we have experienced (though slightly overpriced). The swimming pool is first class and must be given 10 out of 10. Unfortunately, that is where our compliments must end. The "apartments" are in dire need of modernisation (you will have to eat out all the time) as cooking facilities are archaic! Size wise- the studios are dreadful, not enough room to swing a kitten let alone a full grown cat! All showers need to be replaced as the heads are rusty and they do not stay on the wall so you have balance the head under your arm while shampooing! While the management made you feel very welcome, the apartments themselves are anything but. The grounds are second to none and beautifully maintained. One more thing to note: when you come out of the complex you would do well to walk past the Pythari restaurant as we have never encountered such rude service on any of our numerous holidays. Having complained about the food, the waiter who served us did his best to intimidate us every night as we passed by to go into town so be warned! 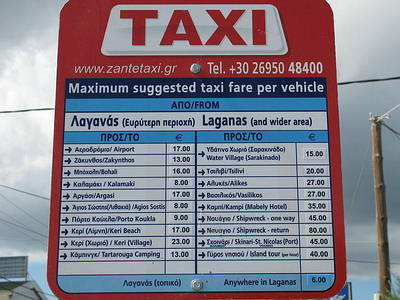 All in all Zakinthos is a beautiful island and the Greek people are terrific, pity about our accomadation. Roll on next summer - back to Spain!!! well hello everyone just back from 2week stay in pythari studios and i can only describe my stay as disastorous the compex is fine with regards layout and pool,now to start on the apartments themselves they are tiny seriously my suitcase was bigger which is why the maid sweeps everything under the bed.the self catering faciluties are prehistoric and thats been kind,the resturaunt next door the waiting staff are so unprofessional and untrained its like faulty towers on a good day when we ate there we saw people complaining and thought they were being overly fussy but we ended up walking out because of the substanderd food we had thrown at us and you daren't complain because you will only be mocked by the waiter every time you pass by.so basically haven been on a lot of holidays i can honestly say that these were the smallest and worst apartments i have had the misfortune to stay in. And the resturaunt was the most unmannerly badly cooked food i have eaten. thank you so much for making our holiday really special. Arrived home yesterday and so sad not to be sitting by your pool today. Before coming, we were unsure whether Laganas would be suitable for our 8 year old daughter. We were wrong, but are so grateful that we chose Pythari Apts as other locations in the town would not have been as good for us as a family. The location was absolutely perfect, being an oasis of peace at the quiet end of town, yet a short walk for our two older boys to the many clubs and bars. 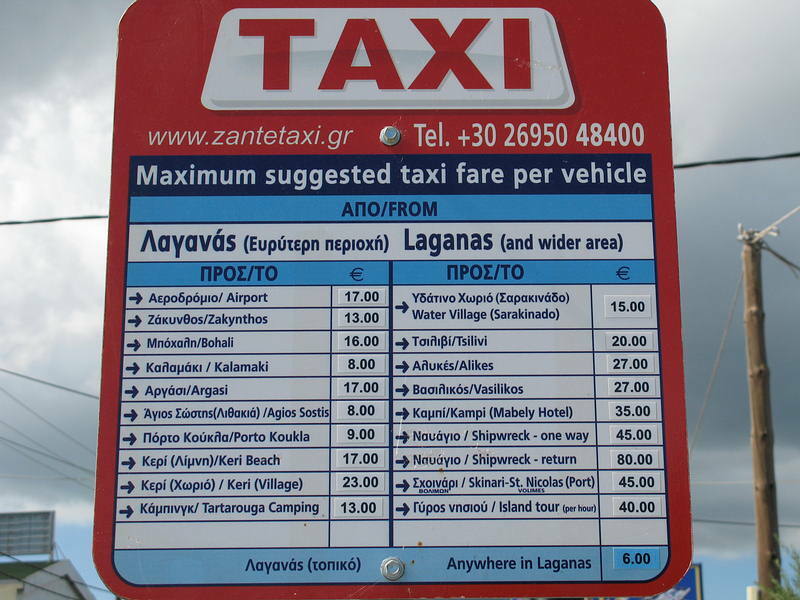 We would urge any families considering Laganas to book in at Pythari Apts and nowhere else. It is a great credit to you and your staff that the accommodation, pool and grounds are kept spotlessly maintained and the atmosphere so friendly and relaxed. Hope you & your family are keeping well, we'd just like to thank you for a great time on our holiday, with your warm greetings everyday, great pool bar, clean pool, accommodation & grounds, there was nothing more we could have asked for. I'd read all the other comments on this web site before we came over to Pythari & didn't think it could be that friendly but I was wrong, it was that & more. Handsome sends his regards & no doubt you'll be seeing him & us again in not so a distant future. If anyone wants a quiet, relaxed place to stay Pythari Apartments is the place to go. If anyone wants a lively time at night & a quiet place to sleep it off, again, Pythari Apartments is the place to be. Everything you need is within walking distance, although not within earshot. Hi Viv, Hope u are well we all arrived home safely. The Pythari Studios were very clean and the pool was always spotless one of the best pools I seen whilst staying on the island. The gardens surrounding the pool were also well maintained. It was set in a good location easy access to the strip and the beach was about 15-20min walk. The apartments catered for all ages which was nice and we met some great people. The snack bar was great, I ate there every lunch time and did a nice english brekkie. There was a restaurant nxt door which we ate at a few times that was one of the best meals we had whilst staying in zante. There is a shop just up the rd and a supermarket a little further down with everything u need. Theres also maccy d's, pizza hut and KFC for all you junk food eater like myself!! !